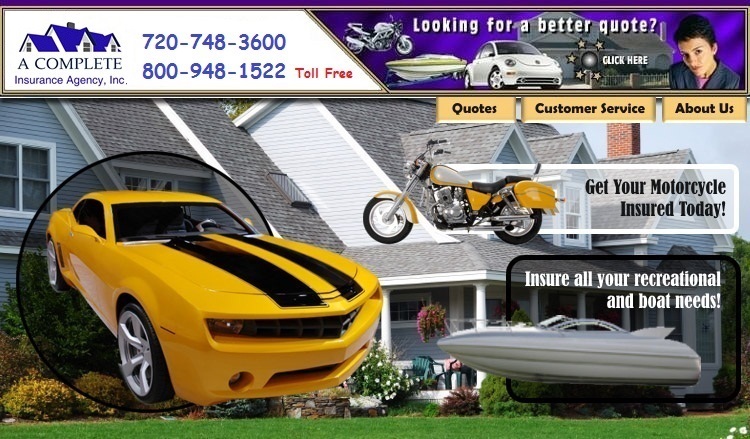 A Complete Auto Insurance is an independent agency with the customer in mind. We have relationships with dozens of insurance companies, allowing you to get the right price with the right service. Whether you have the ideal history, preferred companies desire, or a not so perfect history, we find the right coverage, with the best company, at the best price for you. Make the latest changes to your policy directly from our website twenty-four hours a day, seven days a week. Use any of our convenient forms located at the left for policy service directly from your home or office. As an independent insurance agent we can offer the right coverages with the personal touch you would expect from your neighborhood insurance agent. Our customer service team of professionals will take the time to understand the needs of you, your family and/or your business and match the proper coverage for those needs. Part of understanding those needs is also recommending coverage in the areas you may not have identified as a potential risk. Once we understand your needs, we will use every resource to secure the proper coverage at the most competitive prices available. Again, we only represent companies we feel offer top-notch service and claims handling. Whether you need to make a policy change, have a question about billing or need to report a claim, our customer service team are the best in the business and will handle your request professionally and quickly. Our web site is also available 24/7 to accommodate your busy schedule. We are a locally owned agency, we know you, your community and your business operation. As an Independent Insurance Agency, we represent several insurance companies. We offer personal insurance, business insurance, life insurance as well as financial and retirement products. Our Mission is to help our clients protect and manage the most important asset in their lives, their families, their property, their businesses and their finances. We will help them to recover from the unexpected and help them to achieve their dreams. Our Philosophy is, and always will be, "To keep our clients' interests first". We know that our continued success is dependent upon our clients' trust and we are dedicated to preserving that trust. A Complete Auto Insurance is committed to the communities in which we serve. We spend our time, energy and resources to help educate the community about the importance of how insurance and financial products affect their everyday lives and future.